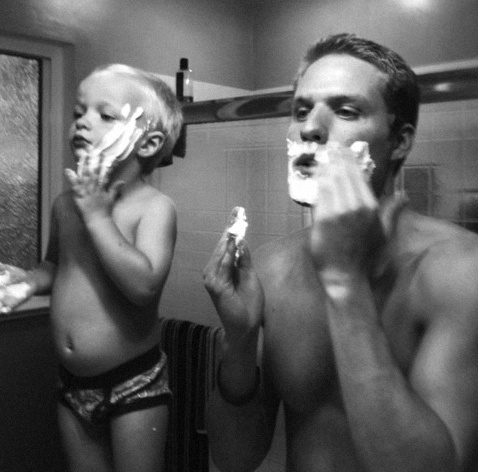 Do you know a dad-to-be (or a brand new dad)? Help him celebrate the milestone by giving him a fun and meaningful gift on Father’s Day. I realize a bath toy might seem odd, but bath-time is a great way for Dad to bond with Baby. 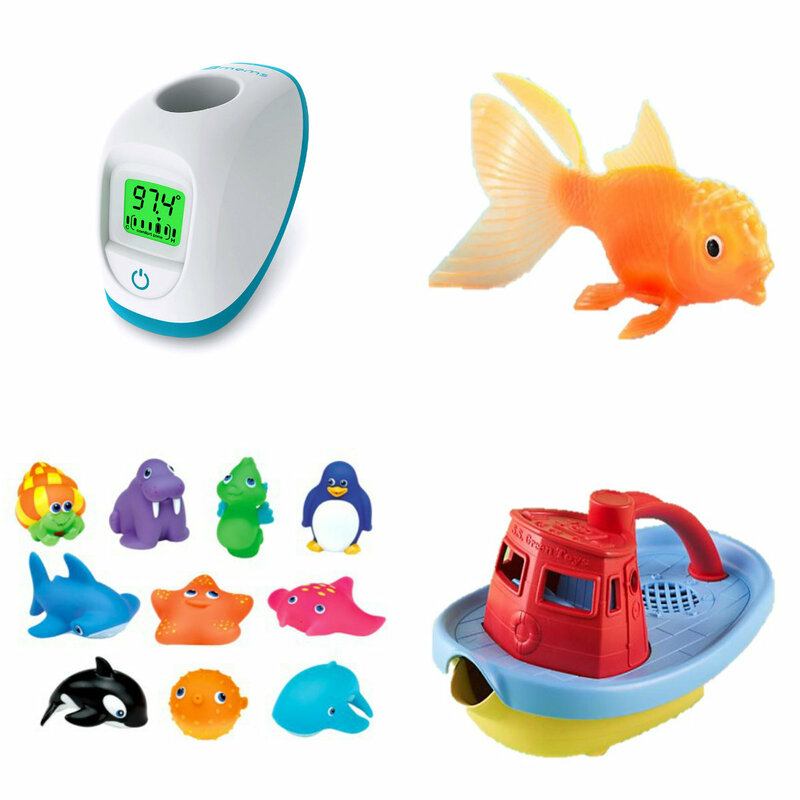 So without further ado: pick one or two of the below toys (grab the faucet cover if he’s into cool gadgets)…. … and add a book. 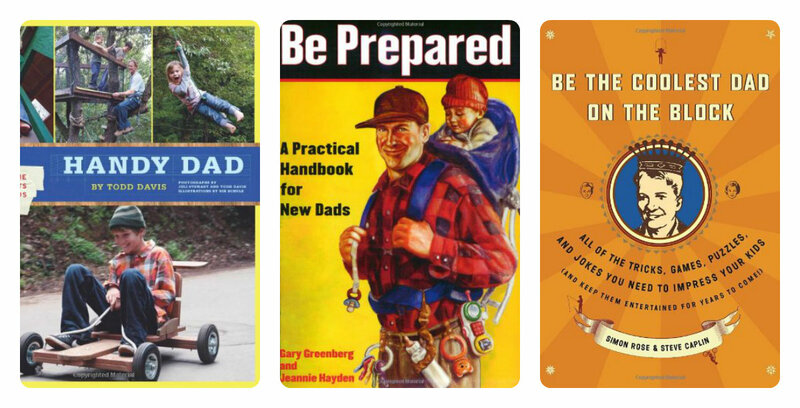 Grab something fun yet helpful for a new dad. Mr. V thought Be Prepared was great since it had much-needed humor after reading a few of the “educational” books. (He especially liked the tips about changing a diaper at a stadium.) The Handy Dad and Coolest Dad books are great for reminding Dad the really cute wiggle-worm that’s a sleep-eat-poop machine will soon be able to do some pretty cool stuff with him. For other gift ideas outside of the tie box, check this week’s earlier post, Hey Daddy-O.